Donna Moss, known as the “Queen of Bling,” brings her glamorous and lush style into every space she decorates. A former finalist on HGTV’s Design Star, she quickly garnered the attention of HGTV and landed her own series Donna Decorates Dallas, where she shows the big (and small) details that make up a fabulous Texas home. In August 2014, she opened a new store with her daughter Tiffany, That’s Haute Kids, a children’s fashion and design boutique. Donna hosts and sponsors a number of local and national charity events including A Wish With Wings and serves on the board of The Arts Council. With numerous awards to her credit and her work featured in People Magazine and Instyle Magazines, Donna Moss proves that you can “bling it all” — making decor bold, gold and glam! 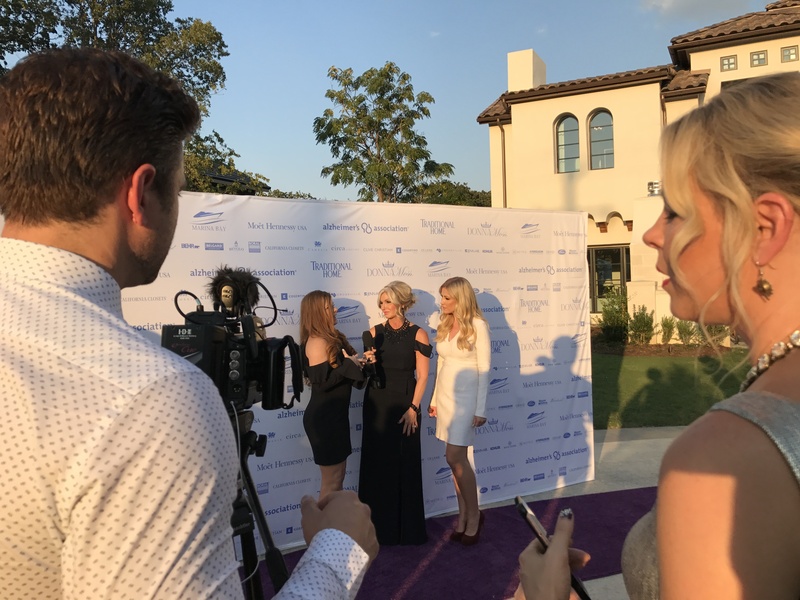 Desert Wind Films is currently working with Donna to feature the The Dallas Decorators Showhouse in Southlake, TX presented by Traditional Home and Donna Moss. In addition, DWF is the co-creator and production company working on a new concept with Donna, set to wrap in November! Pilot sold to "The Design Network"